March 22nd. 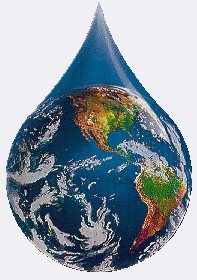 Each year on the 22nd of March it's World Water Day. First celebrated in 1993, the day was established by the United Nations to celebrate the importance of freshwater around the globe. Over 45% of the world's land surface is covered by river basins, and over 75% of all countries have their boundaries within shared river basins. All around the world events will be held to celebrate freshwater and promote its sustainability, and every year there is a different theme. From water and our future to sanitation and water scarcity, the day aims to keep us informed, and in a whole host of different ways! Around the world there will be an array of events, from musical performances to galas, art shows and seminars. “So, why not get involved?” is the operative sentence here. Indeed, at the UN one can find a celebration and a commemoration for just about every day of the year, but talk is cheap. What is needed is first to raise the awareness by dialogue an instruction to, arrive at a correct diagnosis, and then to get oneself and others involved to implement a prognosis for what is ailing Mother Nature which St. Francis would probably call Sister Nature…. As William James, the pragmatist philosopher, well taught us: if you wish to know what principles people really believe in both politics and in religion do not pay attention so much to what they say, pay more attention to the way they behave.